Nearly as funny as cats. He's just so funny with his hair, and his little fingers, and his misogyny and his pathological lying and his hatred. 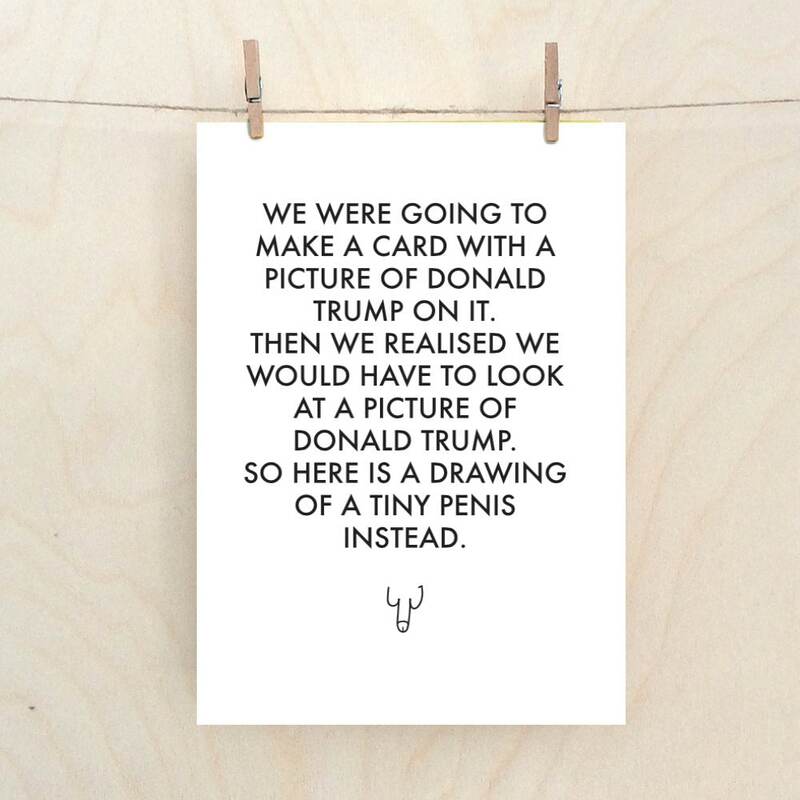 But for some reason people like funny cards with trump on but I just couldn't bring myself to draw or look at his awful face. Sorry if you like Donald Trump. You are not wrong or awful, I just don't. I am not judging you, I am judging him. You might not like marmite either, its just a taste thing.... actually you are wrong about Marmite, Marmite is the best.